Call me a font maniac, as I'm the one who was bored enough to write the font tool for THPS games and now this, but fonts are actually a very important part of game design. Anyways, if you ever wanted to write something using a font from a Tony Hawk game, chances are that you will find it here. For a long time I thought these games use some exclusive designs, cause I never seen these fonts outside Tony Hawk games, but occasionaly this is not the case. Most of these fonts, if not all of them, actually have their Truetype sources. However, most of these fonts are commercial, but it doesn't hurt to try it on a preview page. So prepare yourself to scroll down if you're interested in. Of course a lot of fonts are missing for now, so if by a chance you're familiar with other sources, share the knowledge. Usage: THPS1 logo upper part, "tony hawk's"
Probably the most unimpressive font ever used in Tony Hawk game. You can see letters N and A are not capitals, this is somewhat Neversoft used a lot in their designs. Also, the apostrophe is a bit different in the actual font, it looks like they just put the comma up there. Usage: THPS1 logo lower part, "pro skater"
You can see everything is pretty same except the T letter. Either there was an older version of Lithia with normal T, or Neversoft decided to redesign this letter, cause I did not find any other variation of this font. The signature "THPS1" font. While searching for this one I found several threads where people were hopelessly asking what font it is. ITC Machine it is. You can find several differences in the game font, but I believe those are caused due to low resolution of the original bitmaps. The actual font is not as wide as well, I did not find any wider version than the bold one. Rather random font name, ain't it? Thanks AxlRocks for this contribution. I always thought this was an exclusive design, however, here is the original font. Wherever you'll see this, you'll say it's so THPS2. You can clearly see they squished the text a bit for the logo. Usage: pretty much everything in THPS2 including trick string, menus, loadscreens, etc. This font is kinda old, though I've never seen it anywhere else but THPS2 until fortunately, some guys used variation of this font in their trailer, which helped to identify it. GTA? Yeah, it is. Except Neversoft messed a lot with letter sizes. There are Bolt Bt vibes from THUG2 in this font, the one used all over the game, replacing Nasalization on xbox. It was basically the font that started it all. PDF files contains meta information about the font used, and Ritafurey was one of them. You can see the N letter is small again. Agressive "street" font. It was so cool back then. Funny fact is that it was actively used during development of THPS1. You can notice this font all around the early THPS1 beta builds. Usage: game type loadscreens like CTF, CZ, etc. It was a surprise to find this font, even though it's probably not that important and way less known. Usage: this is the font used to write the copyright text and game type explanations on loading screens. This font was used a lot during the development for the advertisement as seen on promotional beta screenshots. Usage: menu font. also the LOADING... string on the initial loadscreen. Some of these fonts are surprisingly old. Even though it's very simple, you will recognize it instantly. Usage: unused score.fnt. it was intended to be the timer font in thps3. Another great font linked to the game in your mind. Remember THPS4 had a lot of 80s music, so were the fonts. Usage: helper text, dialogs, text input etc. This font is pretty common, no doubt you've seen it in the wilds. Thanks ThAEm, we've got this one. Rather weird name. This font was probably edited by Neversoft, as you may notice p and d are way taller. Pretty much mainstream kewl font. It looks pretty nice indeed, but it shouldn't be overused, that's why you can see just a bit of it in THUG. I don't quite remember if it is used anywhere else, but here it is. apparently, L is rotated 7 and I is mirrored 1. No doubt this font looks familiar, you, THUG2 maniacs. I'm sure this font is in your dreams every now and then. This font was later reused in THAW as a dialog font. So this one turned out to be the good old Impact we all know and love. Or maybe we don't, but it doesn't change the fact. Stencil font is a hell to find, but when you do, it's rewarding. This huge O always looks cool, no matter how long you stare. Contributed by AxlRocks. 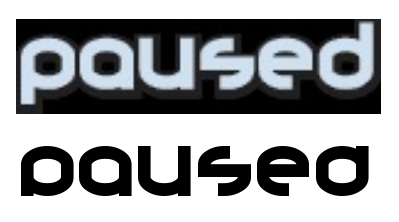 "Also, the "Paused" graphic for the Flip sponsor theme in THUG1 uses it as well." Contributed by ThAeM long time ago, finally here. This font doesn't have italic version, must be edited. Funny bold font. Robomodo is not that good at font picking, but this one is fine. Usage: various UI elements, menus, etc. Usage: trickstring, pro bios, some UI descriptions. Last edited by Demo on Sun Jun 10, 2018 9:33 am, edited 19 times in total. Impressive. I can't believe you've found those fonts. I wanted to use them for ages. Nice work Demo. These might be used a certain project. I found out what the THPS4 title font is called. It's Dronecat. You'll notice that letters like b, p, and h are cut off. Sadly, I looked deep in the webs, and all versions were like this. It was hard to find the font itself. ThAEm wrote: I found out what the THPS4 title font is called. It's Dronecat. woah, my closest bets were optien and circa, both were wrong though. nice found! added to the list. Thanks for the creds, Demo. You're awesome. I used MyFont's WhatTheFont to identify it, if you were curious about how I found it. Also, I found another THPS font. It's Positec. It's the font for Tony Hawk's Proving Ground. The font of Shred Session logo seems to be Anisette Bold, I didn't find italic version though. Last edited by Demo on Sun Jan 31, 2016 2:36 pm, edited 1 time in total.